Watch the latest Star Ocean Program. Square Enix announced the differences between the PlayStation 4 and PlayStation 3 versions of Star Ocean: Integrity and Faithlessness on the latest Star Ocean Program broadcast this morning. While Square Enix will release the PlayStation 4 version of Star Ocean: Integrity and Faithlessness in the west, the PlayStation 3 version will remain exclusive to Japan. Star Ocean: Integrity and Faithlessness is due out for PlayStation 4 and PlayStation 3 in Japan on March 31, and for PlayStation 4 in North America and Europe in 2016. 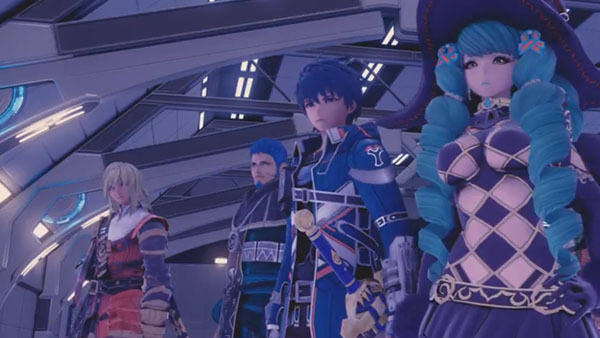 Watch the full Star Ocean Program, featuring the final trailer (update: separate version released), footage of the Charles D. Goale spaceship and more, below.